Need a complete branding package? Whether you're just starting out or need a brand refresh, I can work with you to create a small business branding package. From custom fonts and company colors, to a logo, custom patterns to use on your website and branded social media graphics, I can set you up with a cohesive look that will get your business noticed. For my clients located in NH, small business marketing services start with a face-to-face meeting to talk about your business, your goals and your challenges. For remote clients, we'll have the same discussion via video call. Let's talk about how I can help you boost your brand with a complete branding package! Download more information on my small business branding package rates. 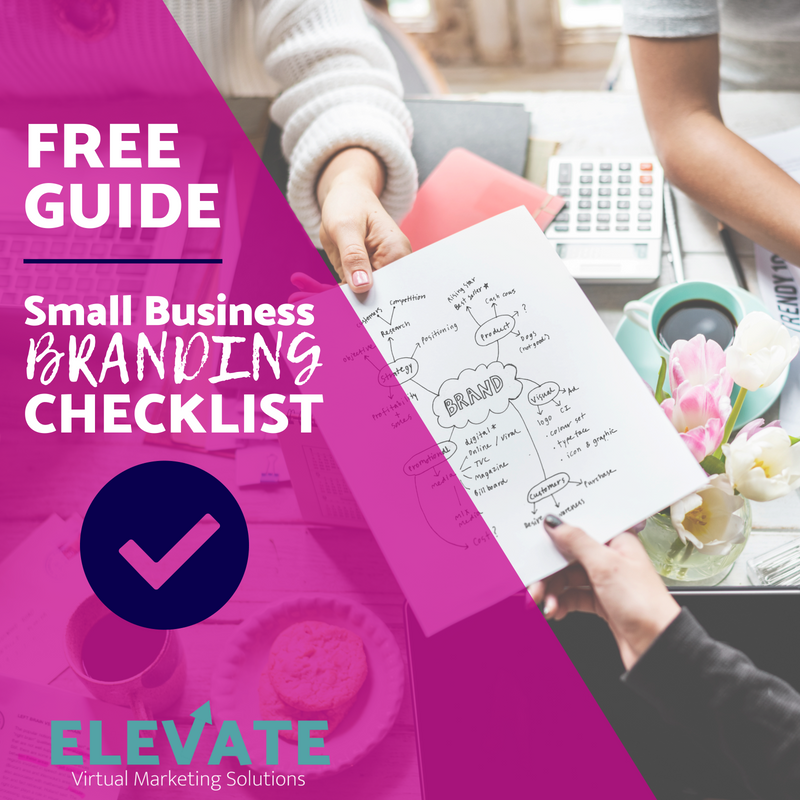 Learn more about how to elevate your small business brand with my free Small Business Branding Checklist! Just sign up for my email list to get your free copy today! And don't worry - I know you don't have time for even more emails, which is why I never send spammy, sales-y emails that fill your inbox. I will, however, provide some valuable resources that will help you save time and make the most of your money to boost your brand.